Self-proclaimed “The Best Town on Earth”, Madisonville is a small city of approximately 20,000 people located in the middle of western Kentucky. Economically, the city has remained prosperous in the post-coal mining period thanks to a highway infrastructure which criss-crosses the city. In fact, the new I-69 corridor linking Canada to Mexico will pass right by Madisonville within a few years, solidifying the manufacturing industry here for the time being. In part due to Madisonville’s importance as a manufacturing and transportation hub and also due to its relative isolation from larger cities, Madisonville is a retailing center for it and the immediate region surrounding. The closest larger city is Evansville, Indiana which is 50 miles north and the closest large metropolitan area is Nashville, Tennessee which is 100 miles southeast. A large strip featuring a mall and many big box retailers and strip malls exists near the interchange of KY 70/85 and Pennyrile Parkway (Future I-69), just east of downtown. 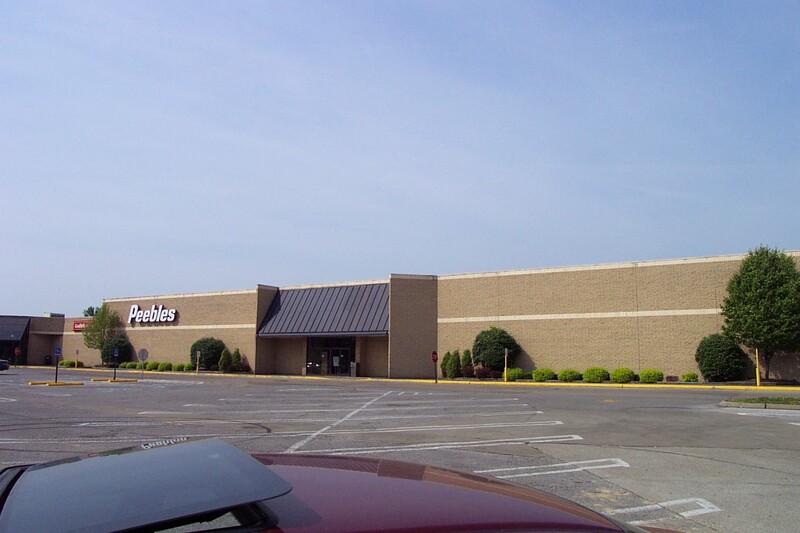 Parkway Plaza Mall, which opened in 1980, is a small one-level enclosed mall anchored by Goody’s Family Clothing, Peebles, and Dawahares, a Kentucky-based family apparel retailer. There is also an 8-screen Capitol Theatre in the mall, and the mall’s enclosed space is a mere 230,000 square feet. The mall is owned and managed by local Ershig Properties, based in nearby Henderson, who indicate on their website they renovated the mall in 2002. 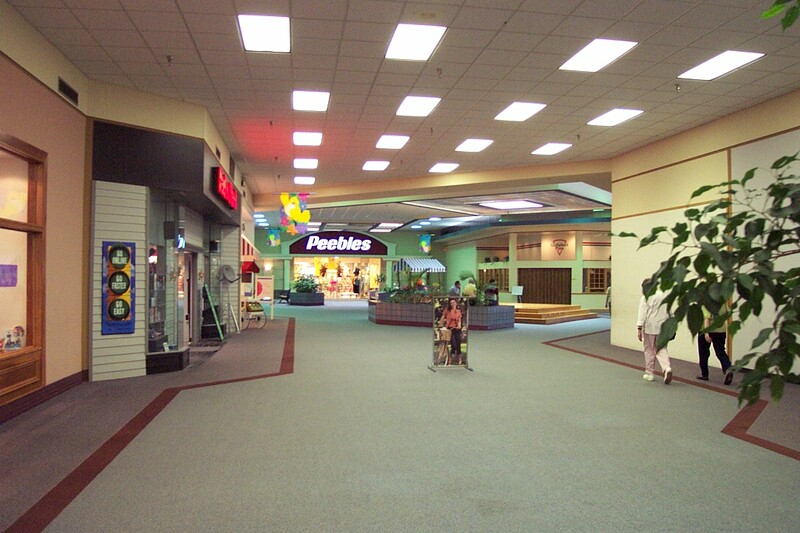 We visited Parkway Plaza Mall in May 2001, and were surprised to find how substantial it was given the relatively small population of the trade area. However, this can be explained by two factors. 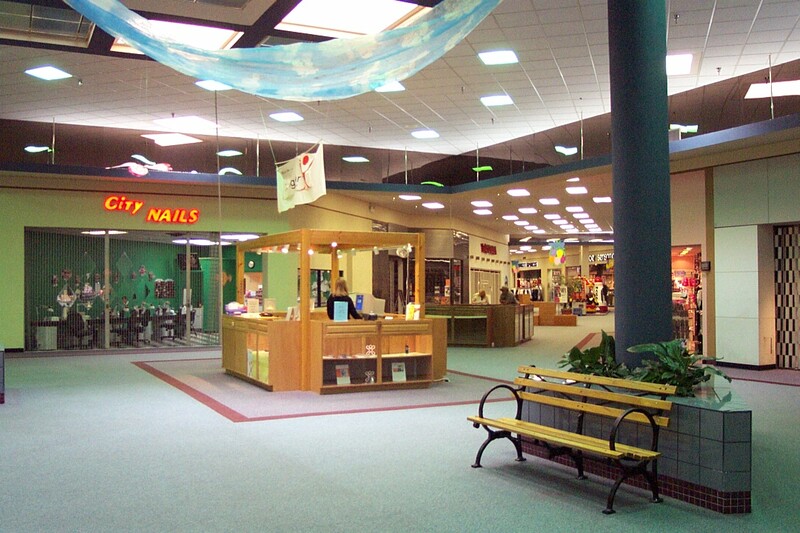 First, a small mall building boom took place during the late 1970s and early 1980s, placing enclosed malls of this size in smaller cities and suburbs (as ancillaries to larger centers) throughout the country, such as Beaver Dam Mall in Wisconsin. Second, and the reason why Parkway Plaza has largely succeeded where others such as Beaver Dam have failed is that the mall fills in an important gap. As mentioned above, the nearest regional mall is 50 miles to the north in Evansville, and the nearest metropolitan area with larger offerings is Nashville which is 100 miles away, so shoppers appreciate and use this local offering. 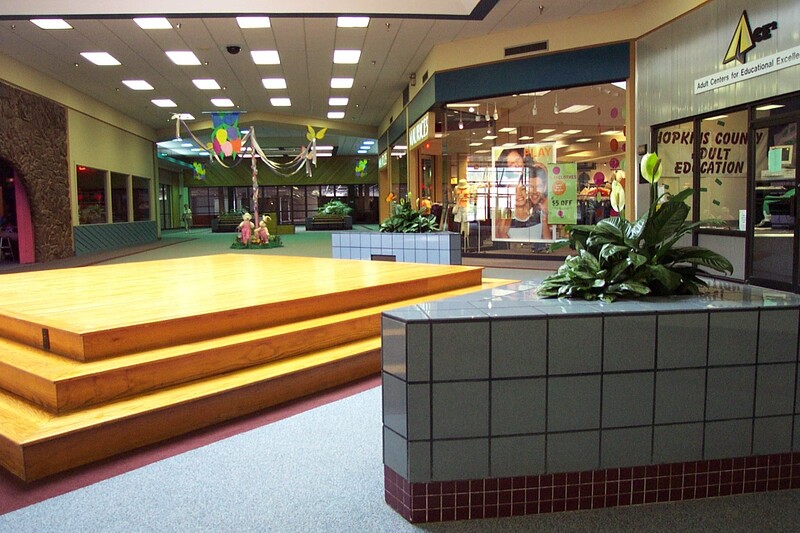 Check out the 80s decor of Parkway Plaza, featuring wood paneling, curving mirrors, and carpeting throughout the mall. If you have any information or anecdotal accounts of Parkway Plaza, or know anything about the 2002 renovation, feel free to chime in with some comments. One thing I can tell you is that the theater was a JCPenney until about 2000. It was a retail store called rose’s. @brian bassett, I remember trying to skip school on mom and dad’s pay day to go shopping at Roses…loved that store and was so sad to see it go. There was one before that but I cannot remember the name. This mall doesn’t actually look too bad, seems to be very well maintained, theres just nobody in it. Carpeting throughout the whole mall is a first that I’ve been, that must be hell to keep up. This looks like Lake City Mall in northern Florida, based on the size and the Goody’s as an anchor. Just a bit surprised that there isn’t a Belk here. The Dawahares/Goody’s space was originally (until early 1990’s) a Roses Discount Store and the theater was originally a JC Penney. To answer your question about Belk, they are hard to find in KY. In fact, I don’t think they have many locations in the state. Only been in this mall once around 1995, but have driven by hundreds of times on family trips. Discovered back in December that Kentucky is a dead mall lover’s paradise. Glad to see that this mall isn’t one of the casualties. Really ugly colors; the whole thing doesn’t really come together. The adult education center and the nail place with homemade signage make me wonder about the viability of the mall, along with multiple vacancies near an anchor (Peeble’s). Surprised they don’t have a nation brand shoe store, too. One plus: JCPenney still has a catalog rep. Considering the description of the town, i would have expected someplace that has more going on and a little more style. Not bad at all for a mall of this size in terms of appearance and occupancy. The angled design elements remind me a bit of Green Bay WI’s East Town Mall, which opened around the same time as this one. The mirror panels date it a little, along with the square ceiling light fixtures, but then again the website hinted that this mall was remodeled in 2002, so maybe the appearance has changed to make the mall look more contemporary. 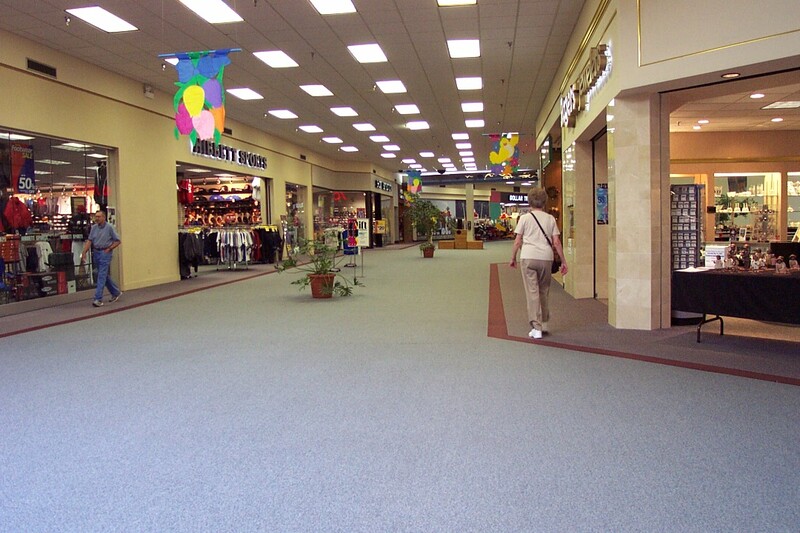 Carpeting in malls isn’t a ‘new’ thing….it’s been done in the past, and is still done today. They kind of went out of style for a time in the mid 1980s – mid 1990s, but as older malls get remodeled, they’re bringing carpeting back into the fold. 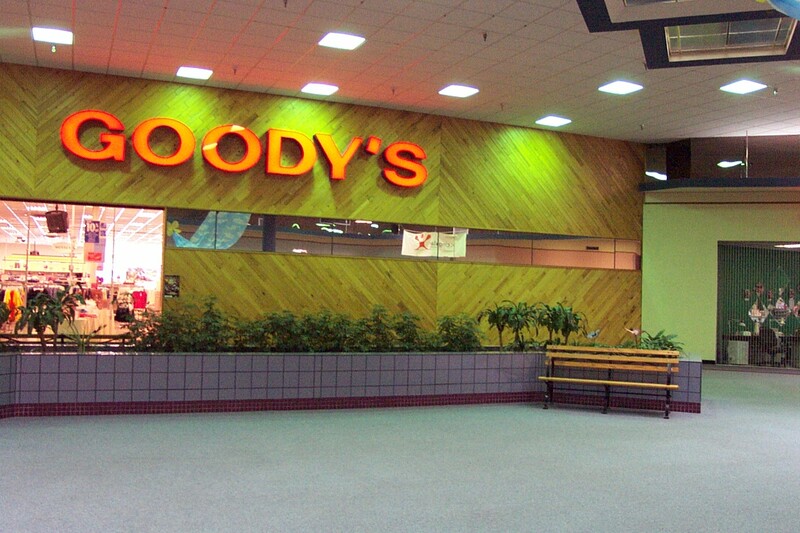 At first I thought the Goody’s space was a former JCPenney myself, due to the wood frontage they used during the late 1970s-early 1980s. I can only commend the owners for keeping the mall up with stable occupancy and upkeep. I wonder what it looks like post-renovation. The only viable reason carpeting has been absent from the mall scene is simply because years of absorbtion of the unkind will create problems. Plus, tiled flooring is much nicer and definitely easy to upkeep. Even if carpets are maintained, can’t do much for smells that would emit from one that’s decades old (and usually non-replaced). Either way, this place is quite ugly. And is that a “blanket” fancied into some sort of hammock thing hanging from the ceiling? It’s interesting that the carpet in this mall has probably been in there for as long as this mall has been open(unlike many malls, which moved away from carpeting and went to tiled floors). Am I correct for guessing that the carpet has always been inside this mall? I thought the same thing too in my mind that seeing this Goody’s sign(and wood trim behind it), it screamed JCPenney to me too, though I know it wasn’t. Wow, this is the nicest small-mall I’ve ever seen! It actually looks up-to-date, which is so unlike malls this size elsewhere. Of course, it still looks like a converted office building, with those flourescent lights. Skylights would be nice. But, I’d bet the owners are just hording the cash and making out as long as they can. This mall’s renovation was really the addition of the theatre, the Tumbleweed restaurant, and a renovated Dollar Tree. A Bath & Body Works opened and was remodeled a few years later. The mall seems to have some steady traffic, but it’s small and the decor is outdated but maintained. There’s really no where else to shop if you live in Madisonville unless you drive to Evansville, IN or Clarksville, TN, so it’s not suprising that the mall is hanging in there to some business. Yeah, Ershig definately owns both of these malls. If it’s ok I ask jwhite, could you please describe some of the similarities you noticed in both of these malls? It just seems like you’ve likely visited both these malls at least once, according to your comment(though correct me if I’m wrong! ), that’s why I’m asking. Thanks! 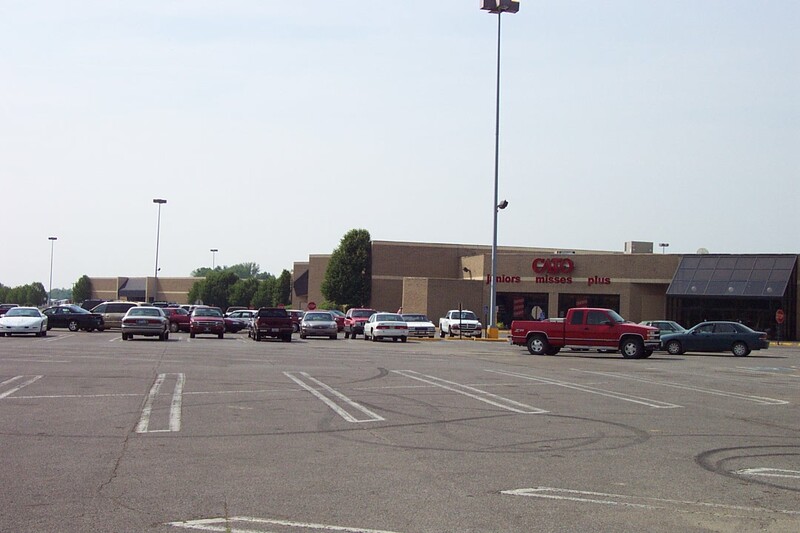 Having grown up in the boonies of Western Kentucky, Parkway Plaza was the closest mall to my town as a teenager, and technically still is. Madisonville and Paducah were the two closest destinations for teenagers (along with adults & families) who wanted to shop in a real indoor mall, go to a movie at a real theater, or just have a bite to eat from a chain restaurant. Peebles was originally Harvey’s, a neat old department store from Nashville, Tennessee that used antique carousel horses as their corporate logo, and had the real things in each one of their stores. Parkway Plaza was Harvey’s first Kentucky store and the company’s first attempt to locate a unit outside the state of Tennessee. I remember the Harvey’s very well, a very elegantly appointed store like nothing else within 100 miles at the time, with lots of mirrored columns throughout the floorspace, and a very flashy cosmetics counter dead center at the mall entrance. It had a simple square layout so you couldn’t get turned around in it. The men’s section was a Levi’s haven, and you could get your Nikes there too, and most everything was usually on sale. I remember the employees being so friendly and helpful, like they were so happy for you to buy from them, not like you were EXPECTED to shop there. After all, a chain department store was relatively new to Madisonville (other than Penney’s-UGH!-more on them later.) I always felt welcome in Harvey’s. I liked this store so well that when I got older I finally ventured down to Nashville to visit their flagship store at 100 Oaks Mall. By then it was the late 80’s and there wasn’t much left at 100 Oaks. Practically everything was gone, except Harvey’s, still standing as a monolithic three-level shrine to retailing, complete with two sets of constantly moving escalators, and still decorated in its original 1960’s glory! On this first visit, I asked the employees how old the mall was ( I was told it had just celebrated its 20th anniversary with little fanfare-it opened in 1968) and Harvey’s was one of the original anchors along with Penney’s, Woolco, and Woolworth which were long vacant. I found it just in the nick of time too, as all of Harvey’s stores had just been acquired by Peebles and were in the process of converting over. The employees were even taking pictures of the store’s carousel horses to preserve their memory, as they would be out the door when Peebles finally took over, along with some of the employees themselves. By 1988, 100 Oaks, although stunning in design and an excellent specimen to the mid 20th century modern styles of architecture and shopping, was already a very “dead mall” with virtually every vacant storefront down the mallway bearing massive labelscars. It wasn’t long before Peebles and what remained of 100 Oaks were ultimately shuttered. The mall was revamped in the 1990’s as an outlet mall, its gorgeous original 1960’s essence completely desecrated in favor of a typically mundane, albeit mainstream, 90’s makeover. I haven’t been back since. In my opinion, Peebles never truly acquired the upper scale aura, quality of hand-picked merchandise, nor level of personal service I associated with Harvey’s. Surprisingly, it has endured in Madisonville since the late 80’s, as other long time and flash-in-the-pan retailers have come and gone-so more power to ’em. At the other end of Parkway Plaza was JCPenney, the most horrible example of a Penney’s I have ever had the displeasure of visiting. If I am not mistaken, they had been in downtown Madisonville for several years prior, and vacated that location in favor of a new store at the mall. There were several things that turned me off from that Penney’s from the get-go. Even though it was a new store circa 1979 or so, the place was small (which is understandable for a smaller mall in a smaller town), but the interior was very bland and not very pretty for a brand new outlet-it already looked dated and had no visual appeal whatsoever, not to mention the fact that it never looked clean or organized. Their restroom was the worst of any mall I had ever been in, yet this one was practically brand spankin’ new. The majority of the employees were seemingly older, and most likely were carry-overs from downtown, and as a very young adult I got the impression that my business didn’t matter to them. They all looked and acted like they were clinging on just a little bit longer, ready to get the hell out of there on the verge of retirement. The place literally had the look and demeanor of a rest home. No wonder it’s gone, and good riddance. I went there looking for dorm room bedding, as I was getting ready to head off to WKU as a freshman. As a young male I didn’t have a clue about comforters and pillow shams, and came out of that store none the wiser because I got no help. For those of you who remember the wastewater treatment plant precariously close to Penney’s, it wasn’t the only thing that stank down at that end of the mall. Subsequently, I took off down the Pennyrile Parkway to JCPenney in Hoptown, and found exactly what I wanted with the help of a very nice saleslady. 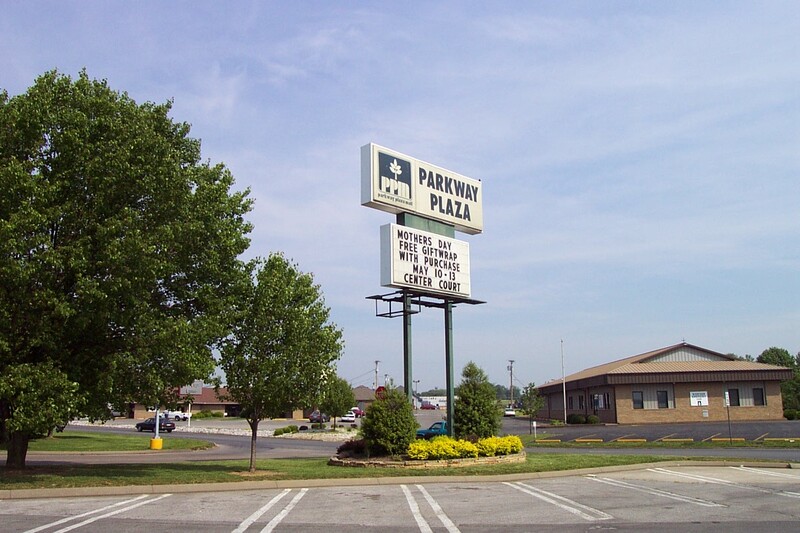 Otherwise, Parkway Plaza was a happenin’ little place back in its day. I bought a lot of cassette tapes and albums at the Sound Shop, ate a lot of pizza at Godfather’s, found a killer Polo knock-off necktie in Rose’s for just a few bucks (I still have it to this very day, no one could ever tell the difference), and got some nice wool sweaters for Christmas courtesy of Golden Farley (and my parents). It was a cool place to hang out and cruise the perimeter in the summer. Too bad my friends and I didn’t know very many young people there at the time, as we weren’t from Madisonville and came from a nearby county. It was a fun little “big town” section of an otherwise small Western Kentucky town. I’m originally from Madisonville and Parkway Plaza didn’t open until the late 70’s. I remember when it was built and my mom was earning some extra money painting walls at Harvey’s before it opened. I was about 7 so it was more like 1979. I spent most of my early teen years there eating pizza at Godfather’s, playing games at Pirate’s Cove & buying tapes at Sound Shack. 🙂 Oh yeah, and that’s when “cruising the mall” was the thing. We used to sit on the bike rack outside Pirate’s Cove and if one of your friends came by you hopped in and cruised. Yea I help open the mall, My husband at the time opened God Fathers pizza and while walking through the mall like i think 7am a man in Taco Casa, asked me if i wanted a job working here..I asked him what is this place..I asked because it had no name up and they were just working on the place..well i told him sure i would love to, and i got called the next day..I helped everyone get the store up and running..it took some doing but we all did it..A lot of the stores that are there now wasn’t there then…We had a Roses store where Goodys is..a JC penny where the movie place is..Peebles was Harveys..I worked there after i quit at Taco Casa..the Steakhouse in the mall was a Pirates Cove, a place you could play the games..i Hung in there a lot..The jewery store across from the steak house there was a cafe “the Garden of Eaten” it had the best white beans and cornbread ..the gym well I blieve it was a Toy store..when you enter the first entance to your left was a bank “Farmers Bank” there was also one as you come in the other entance right ahead was the Bank, but can’t remember the name…next to the bank was a Beauty shop..right passed the first bank, there was a eye doctors office and you could look at the glass in the outer room..this place had a wooden floor.. In front of taco casa was a dress shop but i can’t recall the name…well thats all i can remeber cause its been 29 years ago since i woked there..By the way my marriage didn’t last long..but i am remarried now and for 26 years.. This was the closest mall to my grandparents, and when I would visit them for several days at a time “Pa” would drive me up to Madisonville so I could run through the mall & play in the arcade. He would shop at the Osco store since they apparently had some things there that he couldn’t easily get in Muhlenberg co. When I spent all his quarters we would eat at the nearby Bonanza/Ponderosa steakhouse. I remember for at least a couple years there was also a petting zoo in the middle of the concourse near the arcade. A pony bit the hell outta my hand when I was feeding it some pellets from a gumball-machine-type dispenser, I cried and showed Pa the imprints its teeth left on my palm, and after that he wouldn’t let me go back to the petting zoo. It was removed not long after that. I mostly visited this mall between 1985-1991 and haven’t been since then. I want to see it again. I’m impressed and amazed that the same carpet is still there, and the wood paneling. It looks like it still has the same 80’s charm. As a kid, mall arcades were by far my favorite places to go, and the one at this mall had alot of games that I never saw at other arcades. It seemed bigger than most, even though it was in a relatively small mall. I wonder if that arcade is still there, and if not then I’m curious as to what replaced it? You can still see the same stonework entrance to it at the left of one of the photos, but you can’t see anything inside it. I’m glad to see this mall is still alive – so many of the malls I enjoyed as a kid are now gone, or are pitiful shadows of their former glory, remodeled into a completely different and tacky modern look, overrun by thugs, and no longer containing arcades. @matt, The Arcade is gone. Those pictures are very old. The stone facade was torn down and a Dollar Tree discount store was put in where the Pirate’s Cove use to be. Like you, I spent a lot of time in the arcade when I was younger. I remember spending countless hours playing games like Final Fight and Street Fighter 2 there. It seemed so cavernous and almost dangerous (in a good way) when I was a pre-teen. I can remember in high school and even some in college, when I’d go to the mall, the arcade seemed smaller and smaller with fewer and fewer games. The last time I was there, I counted eight video games and three pinball games, a couple of ski ball machines, and a basketball game. Seems like a lot of game cabinets were covered over with black tarps or trash bags. That would probably have been ’97 or ’98; I moved to Paducah in ’99 and when I came back to Madisonville a few years later, the Dollar Tree was installed and they were getting ready to open the new theater and Tumbleweed. Also, you may be interested to know that the old Bonanza steakhouse building (on the other side of town; I remember it well from trips as a child) is still there. It’s now a Chinese restaurant. I grew up in Central City, KY just 17 miles east of Madisonville. I am now 30 years old, but I lived in Central City for over 20 years and Madisonville is one of the places we went to shop. 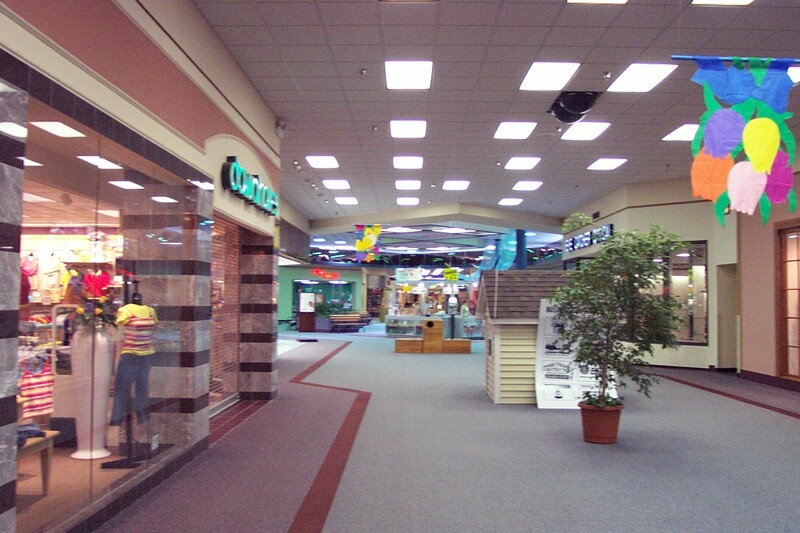 The mall at Madisonville was never really as good as Eastland Mall in Evansville, IN, Towne Square Mall in Owensboro, KY, or any of the new malls in Nashville, TN but it was good enough for us most of the time. I remember the Rose’s, the original tiny Godfather’s Pizza, JC Penny, Youngs Department Store, DEB (retro 1980’s too my friends! ), Hallmark, Rogers Jewlery, a toy store, Pirates Cove Arcade, a couple of hair places, Hibbett Sports, and many other smaller retailers some local and some national. The mall was nice for the most part! It went through a number of changes in the 1990’s and the late 80’s where a number of stores closed up and left town. Madisonville, like any town in that part of the state was very reliant on coal mines and at that time they were shutting down quick. As they shut down, stores at the mall shut down too. Even the strip mall next door suffered with KMart almost closing and the other big anchor at the other end closing (I forget it’s name though). I do know that Goody’s is now gone (they went bankrupt a couple years ago) and Dawahare’s is gone for the same reason as well. That is two large spaces that are empty in the mall. Goody’s did well there. When we get out of this nasty recession, the mall has a chance. But it has got to get out of the hands of Ershig because they will not put any money into it what so ever. They are notorious for sitting on property and just letting it go with time. For what it’s worth, Ershig is based up the road in Henderson, KY. Like I said, this mall has potential, but I wouldn’t place any real bets on it if I was anyone. If you want more info, email me at mddavis@comcast.net and let me know. I used to love this mall…I spent time there in the late 80s and early 90s, when I would visit my grandparents and uncle in Madisonville. We would eat at Godfather’s, I would check out the new cassettes at the Sound Shop and then my uncle would always take me down to the end of the mall which was Pirates’ Cove, the best arcade I can remember from childhood…way better than the mall arcades in Tennessee where I was from. I remember there being a dollar store right across the hall from the inside entrance to Pirates’ Cove, where my uncle would usually hang out while I was honing my Skee Ball skills. Then there were days where my grandmother would drag me to Roses with her where she would bargain hunt and I would wander for what seemed like an hour. Oh and thanks for the reminder about Taco Casa (nancy ann), I remember the food there being so much better than Taco Bell was. I also remember the whole back wall behind the cash registers being a huge mirror which made the Taco Casa look WAY bigger than it really was…I’m glad I stumbled upon this site, it’s nice to piece together these awesome memories again.. I hung out a this mall every weekend & shopping with my family from when it opened until I left for college in 1986. Taco Casa had Taco Burgers that were awesome! I probably ate 100s of them while in grade & high school. I also spent way too much time & money at the arcade, Pirate’s Cove which was a damn good arcade with a lot of great video games & pinball machines . Also in this mall in the early 80’s was a pet store, almost directly across from the arcade. Finally one of my favorites, to the right side of the entrance to Rose’s was a T-Shirts Plus, one of those shops where you could get your t-Shirt personalized with all those great 80’s iron ons! I moved from Detroit to Muhlenburg a little while ago and found this little jewel of a mall. It’s much smaller than the malls back home but it has a cool 80’s vibe to it. I enjoy going to Goodfathers Pizza (the best around here) , seeing a movie and playing some Mrs. Pacman at the arcade. It is usally pretty quiet there but once in a while the are a good amound of people shopping there. I wish the Parkway Mall all the best.